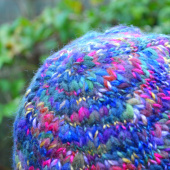 The Gladiool Hat is a warm and colourful hat, it is designed to show off multi-colored thick-and-thin yarn. 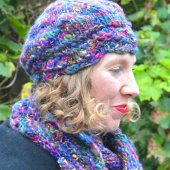 Made with store-bought or your very first handspun yarn, this hat will brighten up your winter. Worked in the round from the bottom up, this pattern is available in two sizes. It features Feather and Fan lace, and stockinette. Both written and charted directions for the lace are included. 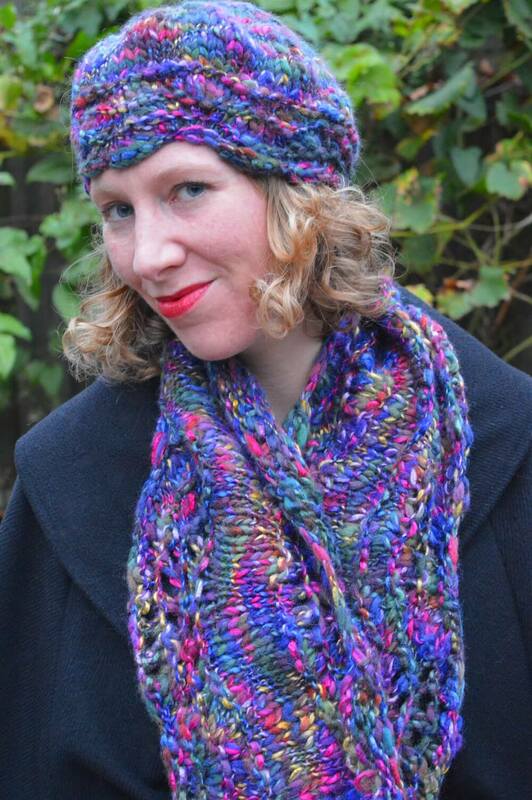 For the matching cowl, click here, or get the cowl and hat together in the set! 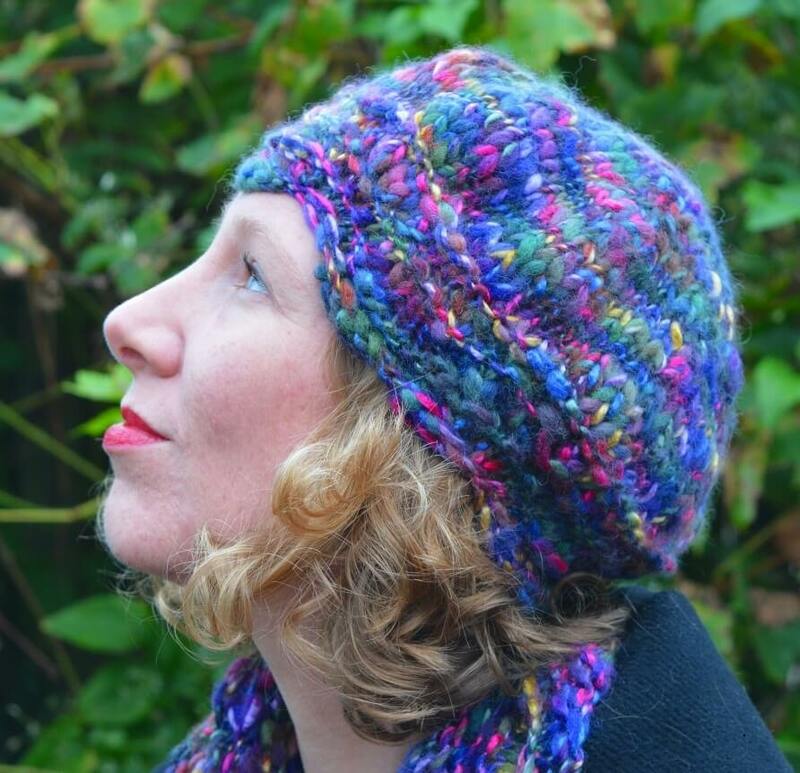 This hat is knit in the round. Stitches used include knit, purl, yo, k2tog. 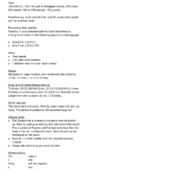 The pattern is suitable for the advanced beginner. To fit size: 52-55 (59.5-62.5) cm, 20.5-21.5 (23.5-24.5) inches. Finished circumference at brim: 47 (56.5) cm, 18.5 (22) inches. Length from brim to crown: 20 cm, 7.75 inches. 100 (120) m / 109 (131) yds of Scheepjes Verona, [50% wool, 25% acrylic; 100 m (109 yds) per 100 g skein]. Substitute any multi-colored thick and thin super bulky weight yarn for a similar result.